My name is Christina Thompson, from Canada. I really impressed with processexam.com site. My classmate suggests me this site for pmp exam.I am very happy and satisfy with the service and quality received for Process Management exam. Very useful. Thanks as I pass my pmp. 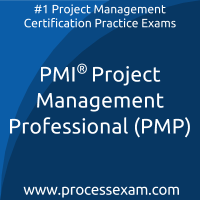 I have purchased premium practice exam for Project Management Professional Certification exam. This site has a good collection of questions, in actual exam I found most of the questions similar to premium practice exam. Cleared exam for Project Management Professional Certification. I scored “Above Target” on all five domains of the PMP exam, I was not expecting this certificate this easy, but got it with the help of the questions I practiced on process exam site.